Harvard Library users now have access to the digital archive of Ogonek, a long-running illustrated weekly from Russia. Ogonek has been published continuously since 1923, in the tradition of the eponymous pre-revolutionary magazine published in 1899-1918. In the Soviet years its run reached millions of copies. The magazine was designed to include stories of social and political interest as well as works of fiction, poetry, photography and art surveys. Among the authors who published their works in Ogonek were Mikhail Zoshchenko, Aleksandr Tvardovskii, Ilia Ilf, Evgenii Petrov, Aleksei Tolstoi, Vladimir Maiakovskii, Isaak Babel, Vladimir Soloukhin, Viktor Shklovskii, poet Evgenii Evtushenko, photographer Iurii Rost and many others. Ogonek‘s history reflected the history of the country at the same time when it was covering it. Its first editor-in-chief Mikhail Koltsov was arrested in 1938, during the wave of Stalin-era repressions. 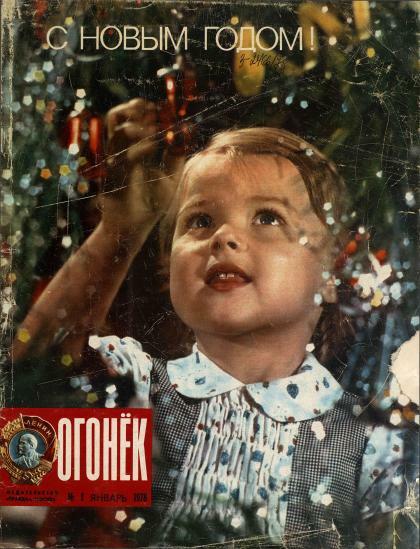 Under Anatolii Sofronov, who was leading the magazine from 1953 through 1986 Ogonek epitomized “stability” of the Soviet life. Perestroika and Glasnost brought change to the information policy and to the Ogonek management: Vitalii Korotich led the magazine in 1986-1991 and turned it into one of the symbols of the era of free speech and information freedom. Ogonek is still being published today, this time by the Kommersant Publishing House. The digital archive provides access to fully searchable full-text and full-color digital copies of issues of Ogonek from 1923 through 2016. Valid Harvard ID is required.